MagnifyAds can evaluate which Social Media Marketing channels provide the best opportunity for an organization, as it’s not a “one size fits all” environment. 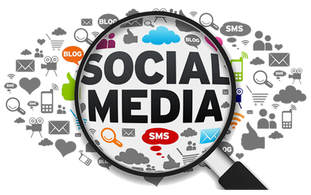 Aside from the obvious channels, there are numerous Social Media sites that are narrower in focus, which should be considered as well. The most critical component of any Social Media endeavor is the strategy - whether it be for the ongoing community presence you will have or a specific promotion or event. Let us work with your team to create a roadmap for success! Another meaningful reason to pursue Social Media Marketing is that these channels can have a very positive effect on a company’s SEO results. Fresh content is highly valued by the search engines and is proving to have considerable SEO merits. We are adept at integrating SEO into Social Media Marketing programs to ensure that these benefits are fully realized.